7 weight 13' 4 pc. Have your cake and eat it, too! The new Echo Swing Switch and Spey rods feature crisp actions and perfect power to fit a wide range of casting strokes and fishing situations without breaking your bank. Unique switch rod sizes are dialed in for real fishing situations where you need serious backbone but don’t have the space for a full-sized Spey Rod. Swinging, skating or chucking bobbers – the new Swing is ready to play. When you look at the rods from the Echo Swing Series, you might be fooled into believing that they cost twice as much as they do. They are beautifully made, and the and the performance won't let you down either. 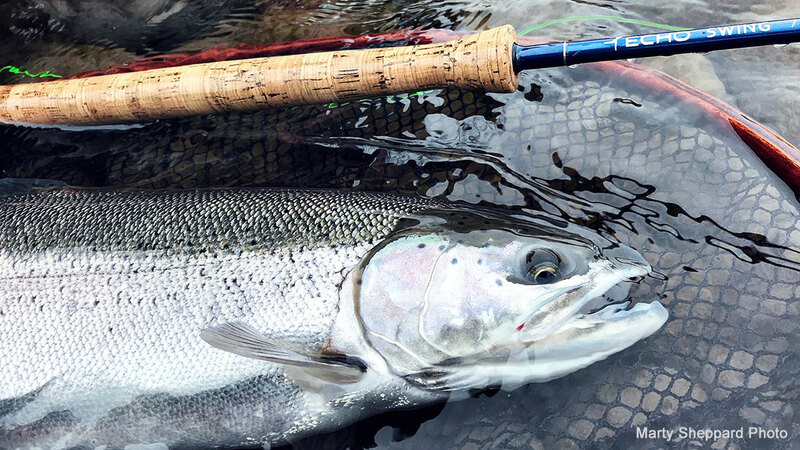 Some of the guides that we share our water with are using them for client rods, and they have held up very well, and have delivered performance that allows anglers to fish productively and cast easy.